When I was growing up, science and history books were boring. I waded through endless texts of facts and figures. 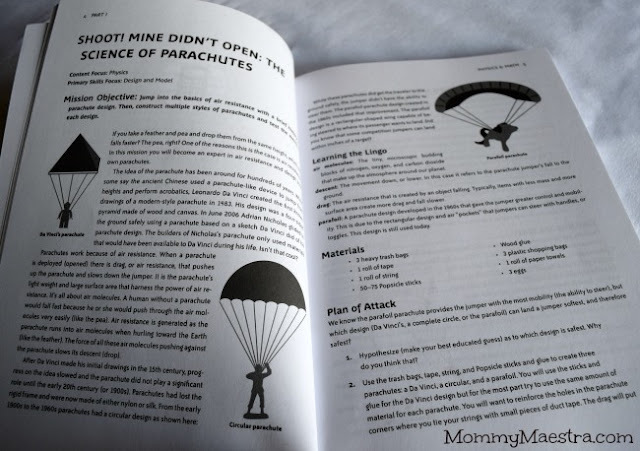 As a homeschool mom, I'm determined to create a different experience for my kids. Fortunately for me, times are changing and there is a growing number of materials to engage children by capturing their imaginations and piquing their curiosity. 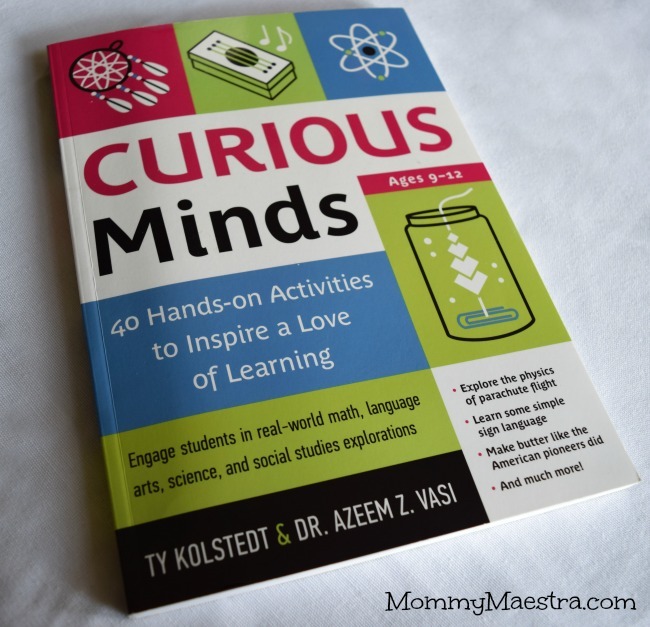 One of those materials includes the new book, Curious Minds: 40 Hands-on Activities to Inspire a Love of Learning (aff) by Ty Kolstedt and Dr. Azeem Vasi. Each part has at least six DIY projects (some have more), and they are so much fun. I love that as a teacher, I know exactly what skills I'm targeting with each project. The activities start off plainly stating what the content area we are exploring and what the primary skills focus is. Then comes the treat: You get a mini-lesson! You'll read what the "Mission Objective" is and "Learn the Lingo" associated with each with each project. Then there is a list of materials that you need (most of which is stuff you probably already have around the house) and your "Plan of Attack" or directions. In addition, there is a section at the end of each project called "Taking It to the Max" which provides ideas for exploring the concept further after having learned the basic principle. In the few weeks that we've had the book, I've been using it to supplement our science and social studies lessons. 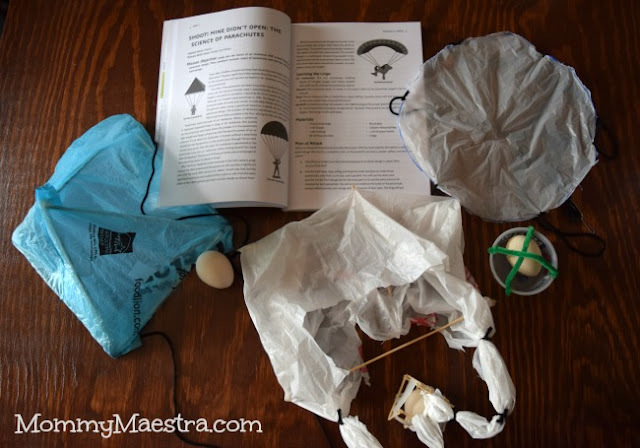 So far we've made different types of parachutes, studied the effects that freezing has on the volume and mass of water, and explored globalization by investigating which countries produced some of the items in our home. 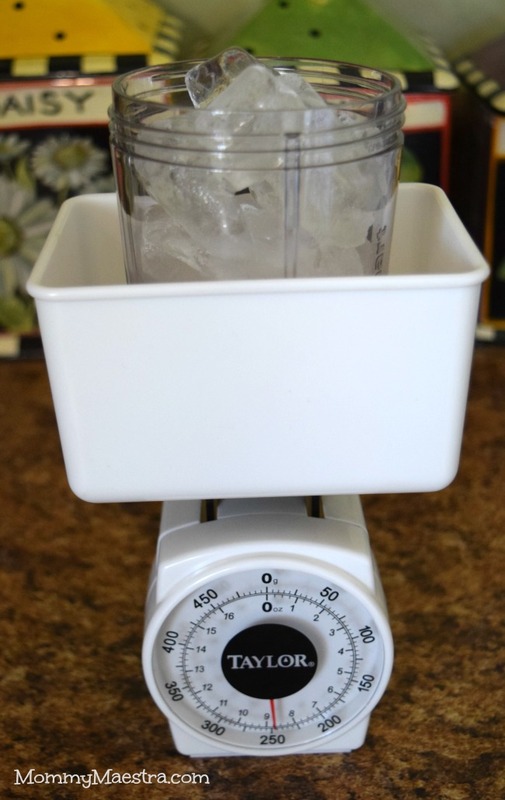 Next, we'll be learning chemistry as we try to make our own pickles out of cucumbers! Other experiments in the book explore concepts such as figuring out how boats float, decomposition, the story of ink, quicksand, immigration, democracy, water pH, and yeasts and molds, and more. This is the type of hands-on learning that makes my kids excited about learning. Written for kids ages 9 - 12 years old, this book is easy for them to read on their own, but some of the projects do require parental supervision. This book is a must-have for homeschoolers and families with children in a traditional school setting alike. Even if your kids are learning science in school, they will love completing these projects over the weekends. You can purchase your own copy of Curious Minds here (aff). Disclosure: I received a copy of this book for review purposes. All thoughts and opinions are my own!